You are here: Home / Family Food / Looking For Healthy Meals To Go? Here’s An Idea! Looking For Healthy Meals To Go? Here’s An Idea! As parents, we all know that life with kids can get busy. After all, juggling our own schedules often feels like enough but then you need to add in basketball practice and piano lessons and sleepovers and shopping for school projects! Not to mention special events like the history competition, the awards ceremony, and band performances! Even with so many things going on, you want your family to eat good food together but it can be hard to find healthy meals to go. That is why I am happy to partner with Applebee’s Neighborhood Grill + Bar to share some of their healthier meal selections and let you know about the Carside To Go offering which makes things so easy on a busy night. Applebee’s Neighborhood Grill + Bar has a lot of healthier entrée options with grilled meats and seafood, scrumptious salads, and whole grain and healthy veggie sides. served over a bed of rice and topped with wonton strips. Smith apple relish and lemon vinaigrette. With delicious healthier entrée selections like these available through Carside To Go, healthy to go meals for your family are easy! If you are thinking Applebee’s Neighborhood Grill + Bar sounds amazing but you are not sure how Applebee’s Carside To Go works, I have you covered. The full scoop is below. Applebee’s Carside To Go is a great family friendly dinner option to enjoy meals at home through easy ordering and easy pick up. You can order 1 of 3 ways- just pick the one that is easiest for you! 1. Applebee’s offers guests the option to place a to go order at applebees.com. I used this option and it was super easy to use with the full menu available and choices for sides popping up when you select a meal. 2. Applebee’s app can also be used to make the process super simple and easy to customize everyone’s meal choices. 3. You can go old fashioned and just call your local restaurant location and place an order for carside to go! Pay when you order or when you pick up your healthy meals to go. All to go orders that are placed online, with Carside pick up selected, ask the guest to input their vehicle make, model and color to help the employee locate the vehicle when it arrives. The guest will choose what time they would like to pick up their order, either ASAP (15 mins is the estimated average time) or by choosing a date and pick up time. Each Applebee’s Neighborhood Grill + Bar Carside restaurant has designated Carside To Go parking spots next to the entry so that the staff can easily deliver to go orders right to the guest’s car. A nice easy way to end a long day! And I can really go for that! Now you don’t have to worry if you baby is sleeping in the car, they can bring the simple, craveable American fare right out to you! It really is a wonderful offering for busy families, people in a hurry or really – anyone. Applebee’s Carside To Go option as a convenient choice for families so everyone can eat a good meal together even after a long day on the go. 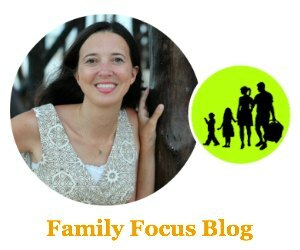 Is your family busy? Are you looking for healthy meals to go? The Shrimp Wonton Stir-Fry sounds pretty amazing. I need to check it out the next time I’m there.